Location: The hotel is situated 400 m. from beach. Accommodation:The hotel disposes with a total of 160 double rooms and suites. Each room has balcony, shower/WC, TV, mini-bar, telephone. Facilities: Central air-conditioning, lift, lobby bar, restaurant, pool, pool bar. I've just return from Sunny Beach. I was there for 7 days at Izola Paradise hotel. 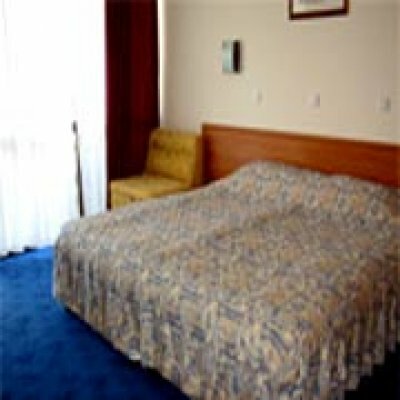 The room was ok, the swimming pool in good condition, parking place, the food served at the restaurant was great, cheap, and the personnel very friendly. What I disliked were some german guys that (it's full of deutche leute) drank too much each day, were noisy and were disturbing the other turists. Great hotel, before we went away we had only seen three pictures of it none of which looked rather promising but when we got there it really was nice! Fantastically located with only a short walk to the main nightlife, most of which is on the beach so only a little further to the beach. Our room was really nice, with a good balcony, large bathroom with very powerful shower (even if it did flood the place when on fully) The bins were emptied and beds made everyday and towels were changed every other day. Satelite TV a fridge and a phone which called other rooms for free were all included. Best of all had a good bar and seperate restraunt (both in and outside) which served food and drinks all day and the pool was kept clean and a good size. Highly recommended!!!!! Exellent hotel was a bit nervous as i had not seen any reviews at all, hotel is only 3 stars however we had good sized rooms with fridge and sky tv, cleaners were in everyday, the bar and hotel staff could not have been any friendlyer they made it an exellent holiday, the pool is good size and the hotel is literally only a 5 min from the main centre. definetly recomend it.